Wow Wow Wow, that’s all we can say. 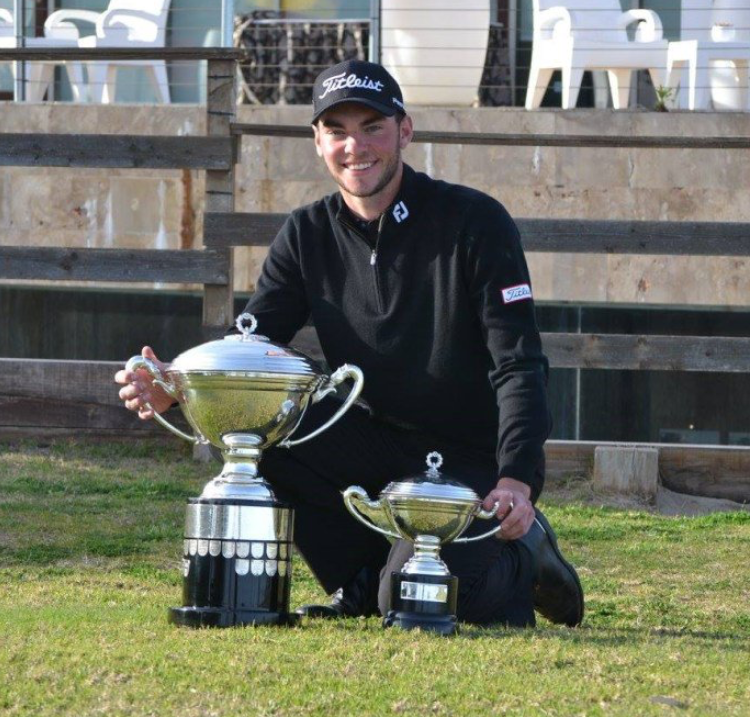 Jack has become the first Welsh golfer to win the Spanish Amateur Open – following in the footsteps of players such as Darren Clarke, Jose Maria Olazabal, Sergio Garcia and Danny Willett. They are all former winners of the Copa del Rey with Jack joining that illustrious list after a strong second round in the final helped him beat England’s Marco Penge in the 36 hole final at El Saler golf club near Valencia. He was one down after the morning round against England’s Walker Cup squad player Penge, but turned his fortunes round in the afternoon with the help of two eagles on the front nine before a level par run on the back nine brought a 4 and 3 win in windy conditions on the Spanish coast. It capped a stunning week for Jack, who qualified for the match play stages in 32nd place out of 32 but then set up his charge to the title by beating number one seed Christopher MacLean of Scotland. This victory has seen Jack continue his great start to the season which has seen him come third in the South American Amateur in January and seventh in the Portuguese Amateur in February. Jack started 2017 ranked 580th in the SP-World Amateur Rankings. After the fantastic start to 2017 he is now in 131st and 18th in the GB & I Walker Cup list. The victory has earned him an invite to the European Tour event, The Valderamma Masters where he will be teeing it up alongside the best golfers in the world. The event is to be played on Oct 19 – Oct 22.